At Brandon Cross, our approach to bespoke task management means going the extra mile in terms of delivering a product which is completely focussed on the job at hand. This means really listening to what our clients need from their software and thinking about new ways that these goals can be achieved within the programming. It is common for our team to continue to consult with our customers when developing the task management software infrastructure to ensure it is really meeting their expectations. One of the key areas that task management software can be used for is to keep track of budgets and timescales. This is very useful for project management environments, for instance, but it is also of great help in manufacturing and logistics businesses. By using an application programming interface (API) it is possible to fully integrate your custom task management software into existing packages so that they integrate seamlessly. For example, task scheduling could be made available to view in an online calendar, if wanted. All of these options are feasible and just need to be developed to meet your organisation’s specific needs. Management reporting is another important part of most task management software systems. At Brandon Cross, we appreciate that report generation may well be one of the major selling points of procuring such a system so far as your board of directors is concerned. Therefore, our systems commonly show progress between specific milestones and allow reports to be made using standard calendar views, if wanted. Task-centred team collaboration with notes are also possible and this can even include real-time notifications and live chat in appropriate situations, too. 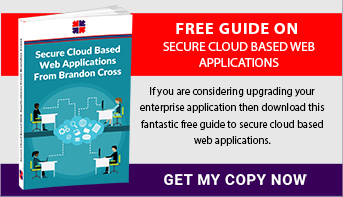 We have produced a guide to all sorts of custom software development – Secure Cloud Based Web Applications. You can download this without charge and discover how these applications can be adapted to task management software. In addition, we have plenty of expertise in developing task management programming which you can draw on directly. Why not send us an email or call to discuss your thoughts?